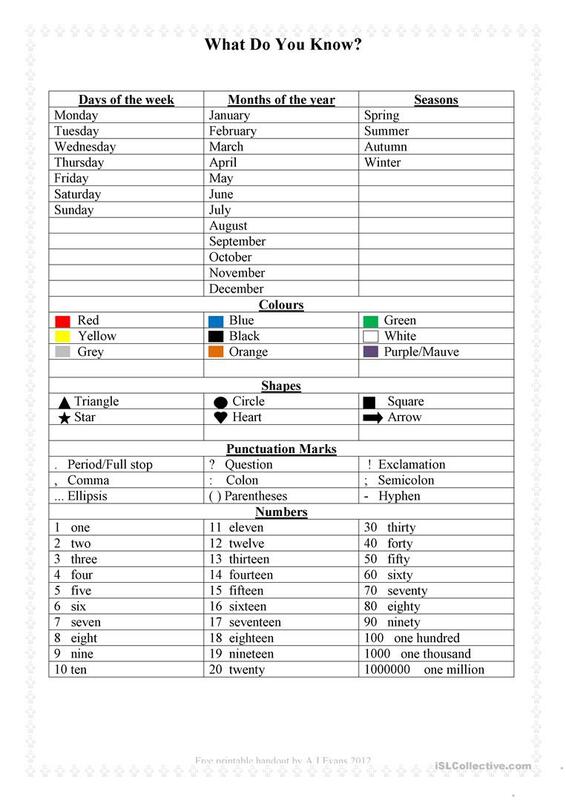 A simple sheet to help determine the student’s knowledge of basic English. 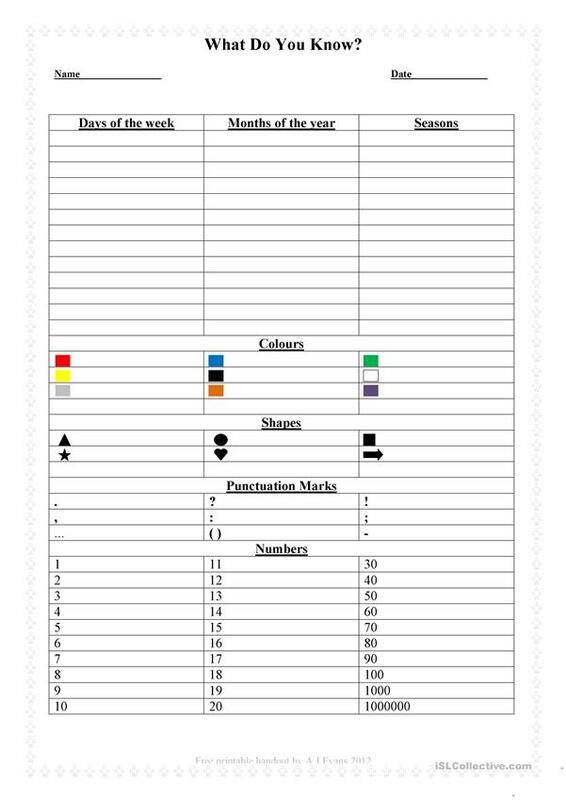 This printable, downloadable handout is meant for elementary school students and kindergartners and nursery school students at Beginner (pre-A1) and Elementary (A1) level. It is a valuable material for honing your class' Writing skills. It includes a key, too. Sonofjoe is from/lives in Italy and has been a member of iSLCollective since 2012-10-14 16:36:03. Sonofjoe last logged in on 2013-11-18 10:17:37, and has shared 1 resources on iSLCollective so far.